Green Data Center Market is gaining immense popularity lately with the rise in concerns about the increasing energy costs impacting operational and economic efficiency. Most companies are presently implementing strategies to improve cooling and power infrastructure which is one of the vital factors influencing organizational performance, reliability, and serviceability. The shifting trends toward the deployment of green data centers for storing, managing, and distributing information have helped many software companies reduce energy consumption as well as the total energy cost. 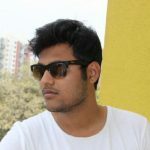 A key factor promoting the growth of the green data center market is that it allows companies to reduce their operational costs by utilizing strategies such as waste recycling, usage of renewable energy sources for cooling and power, and identifying dead or unused networking devices such as servers. In 2017, conventional U.S. data centers were reported to consume over 90 billion kilowatt-hours of electricity and are anticipated to increase to over 140 billion kilowatt-hours, costing businesses over USD 13 billion annually in electricity bills. In such a case, high costs can reduce the overall profits generated by the company. The replacement of conventional equipment can provide over 20% savings annually to consumers, boosting the green data center market growth. 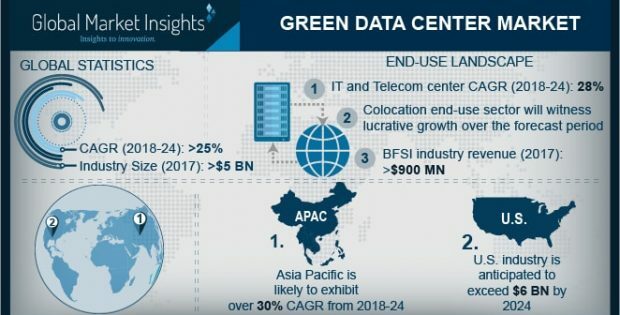 The green data center comprises players such as EcoDataCenter, Eaton Corporation, HCL Technologies Limited, Green House Data, Siemens AG, and Verne Global. The industry is at present in the nascent stage and is poised to grow significantly.